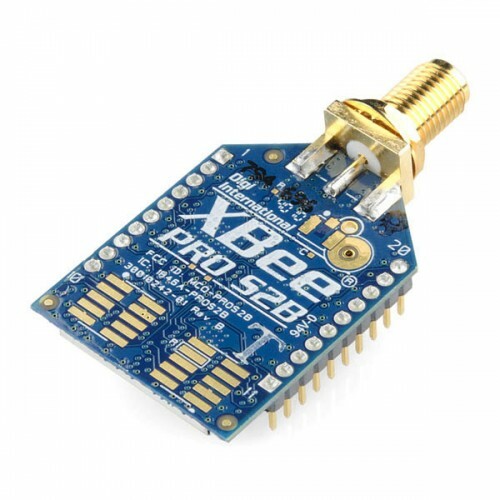 This is the XBee Zigbee Pro S2B RPSMA module 63mW XBP24BZ7SIT-004 module from Digi. The new Series 2B improves upon the power output and data protocol of the Pro Series2. Series 2B modules allow you to create complex mesh networks based on the XBee ZB ZigBee mesh firmware. These modules allow a very reliable and simple communication between microcontrollers, computers, systems, really anything with a serial port! Point to point and multi-point networks are supported.